The definitive how-to book on professional river guiding, The Guide’s Guide Augmented covers every aspect of the multifaceted art of river guiding: People, leadership and conflict-resolution skills; all aspects of a guide’s role in creating fun, uplifting, learning-filled trips; safety talks; guide training; signals; knots; high-water safety; swiftwater rescue; emergency evacuation & coping with accidents; minimizing liability; expedition food planning; nature interpretation made fascinating; boatloads of hilarious river, land & bus games designed to bring people together; and much, much more! Used by guides, outfitters, trip leaders, resource managers, adventurers, boaters and outdoor enthusiasts worldwide, The Guide’s Guide Augmented presents a comprehensive philosophy and a wealth of detailed methods for creating “Deep Fun:” Life enhancing adventures which entertain, inspire, educate, thrill, heal & delight! The Guide’s Guide Augmented is an invaluable, inspirational resource for all boaters, guides, trip leaders, outfitters, resource managers, adventure travelers and companies of all sorts. 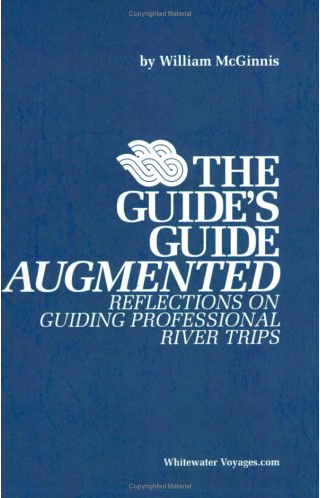 Any individual, company or group which practices the philosophy and methods presented in this book is welcome to consider The Guide’s Guide Augmented their own staff manual. 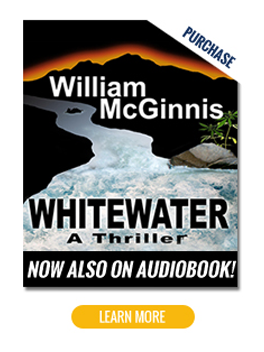 Although the myriad users of this book are independent, far flung adventurers, guides, private boaters, outfitters, tour operators and recreation resource managers, at the very same time, ideally, we are all working together to enhance the quality of life on–and win friends for–this planet! The highest purpose of this book is to contribute to this broad, growing, wonderful effort–which is, after all, an ongoing quest of planet-saving proportions. At 316 pages, The Guide’s Guide Augmented includes a completely updated version of the original 1981, 140-page Guide’s Guide contents, plus a wealth of new material. 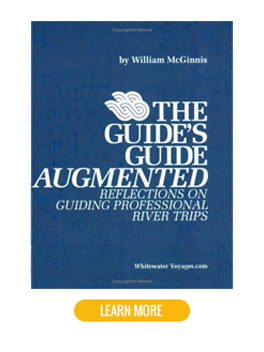 Best Professional River Guide book out there: Bill McGinnis has written an excellent reference for anyone involved with professional river guiding. Every chapter reflects years of experience and conveys information with comprehensive clarity that’s easily understood and transcends the obvious. The heart and soul of the commercial river experience are the people involved, the guests and guides. Everybody wants to be happy and accepted, even uplifted, and Bill’s section on the Guests, Guides and Staff relations offers valuable insights are that are real and superb. In addition all the nuts and bolts info including safety talks, raft/paddle instruction, river running etc are offered by an expert who is humble and wise at the same time. There’s so much to be learned by anyone interested in making every day on the river the best, and this book is a fine friend in this regard. As an active professional guide for 25 years and 16 years as an outfitter I’m still learning and Bill’s book is a great reference for me and my company. 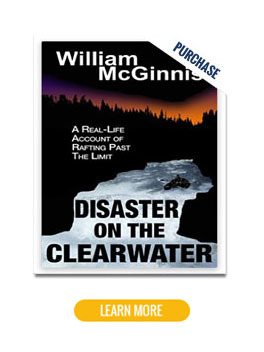 I recommend this book with high regard.–John McDermott, Owner/Head Guide, River Dancers Rafting and Kayaking Inc.